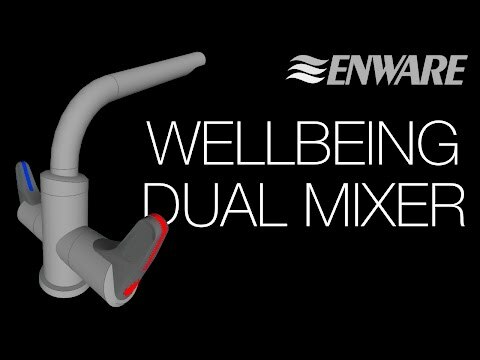 Enware's Wellbeing™ range is a contemporary yet familiar lever tapware range designed specifically for aging users. Designed to enhance the well-being of aged users, the design aims to keep the product simple, intuitive and familiar yet also comfortable to use with strong colour indication. The result is a design combining ergonomic principles, tactile materials, contrasting colours and bold geometric shapes to optimise user comfort, strength and capabilities.